RJC Interior Remodeling a family owned and operated business with our showroom located in wantagh, specializing in residential Kitchen and Bathroom remodeling. We handle your entire remodeling project from concept, to design, to completion. All phases of home improvement. 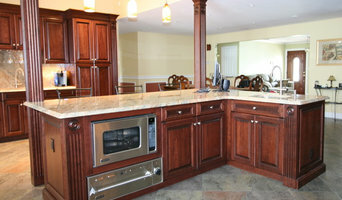 Custom kitchens and bathrooms, extensions, dormers, basement remodels. Theresa Seabaugh Interiors is a boutique design studio known for creating highly individualized interiors for busy professionals and families. An award winning interior designer, I work on both high end residential and commercial projects throughout the NY area. I work with the best crafts and trades people in the industry to ensure the most professional results for you. While ensuring that your most practical and comfortable needs are met, I also bring my Brooklyn edgy and elegant aesthetic to the design process. Working with a professional interior designer lessens your stress, keeps your project on track and saves you from costly mistakes. And it's fun! And, as the mom to three sons, 2 cats and a lively dog, I understand how complex your life can be, which helps to inform my design process and the needs and time-constraints of my clients. I am a graduate of the New York School of Interior Design, the University of Maryland and am an Allied Member of ASID, where I held a Board Position as Director of Communications. I would love to hear your thoughts and talk about your project; please call my office at 718.399.1603 to set up your Initial Consultation today. 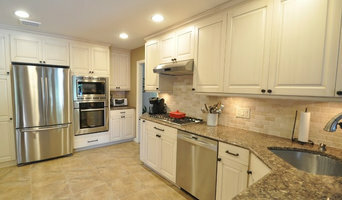 What does an East Meadow kitchen and bath remodeling expert do? 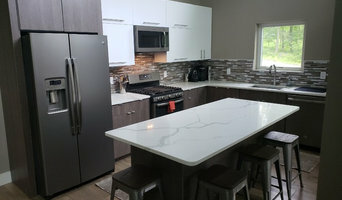 Licensed New York kitchen and bath remodelers are contractors who specialize in altering the structure of an existing space, rather than building one from the ground up. Because he or she must deal with a previous builder’s work, the job can get more complicated than new construction. You might wonder why they often specialize in both kitchens and bathrooms, but if you think about those two spaces, they actually have a lot in common. Kitchens and bathrooms include an abundance of fixtures that require careful planning and installation, including sinks, faucets, tubs and toilets that all need water hookups and drainage. They also use similar materials, such as tile and stone for countertops and flooring, due to the nature of their use. So it makes sense that East Meadow kitchen remodelers and bathroom remodelers be one in the same. A bathroom or kitchen remodeler translates architectural plans from page to reality; some are also trained to provide design services so that you don’t have to hire a separate pro. Like a general contractor, a kitchen and bathroom remodeler in East Meadow, NY is responsible for hiring and supervising subcontractors and providing materials when necessary. They also should have a thorough knowledge of New York building codes and construction-related legal issues, as well as current design and product trends. Here are some related professionals and vendors to complement the work of kitchen & bath remodelers: Woodworkers & Carpenters, Kitchen & Bath Designers, Interior Designers & Decorators, Architects & Building Designers, General Contractors. 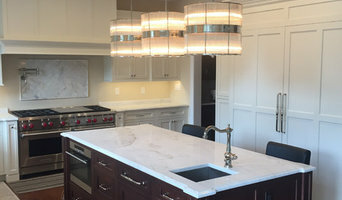 Find an East Meadow kitchen and bathroom renovator on Houzz. Narrow your search in the Professionals section of the website to kitchen and bathroom remodelers in East Meadow, NY. You may also look through photos of East Meadow, NY spaces to find kitchens or bathrooms you like, then contact the bathroom or kitchen remodeler who worked on it.